Why Is The Racism and Sexism Against Venus and Serena Williams Ignored? Although the American tennis establishment will never admit this the Williams Sisters "are" women's tennis. If the Williams Sisters are not playing womens tennis would be non existent. Serena and Venus are the only Americans with a realistic chance to win the French Open. However, if you read the newspapers and the internet the world media is only focused on the men's French Open event. Women's tennis has been criticized for decades for not having depth. Now the WTA tour finally has the depth because any woman in the top ten can win a grand slam event. The WTA tour does not have a "dominant" number one, but that's actually good for the sport. The press has complained that since Justine Henin retired in 2008 the quality of the tennis has declined but this is false. Henin retired since she was burned out due to the increased depth in the game. 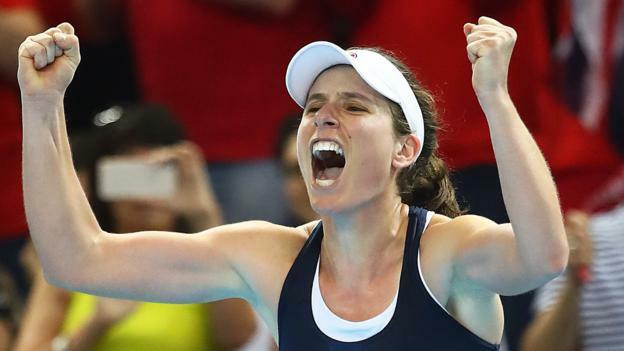 Henin was blasted off the court by Maria Sharapova and Serena Williams at the Australian Open and at the Miami Masters. Henin quit because she could not handle losing to the other top women. The Williams Sisters are also the only American females currently ranked in the top ten. The rest of the WTA top ten are various Russians and Serbian tennis players. Dinara Safina, Elena Dementieva, Svetlana Kuznetsova, Jelena Jankovic, Ana Ivanovic, and Vera Zvonareva are all solid players. The quandary for the Eastern European women is they do not have the mental toughness. The Russians and the Serbs have proven they are not good enough to challenge the Williams Sisters consistently. The only Eastern European woman that has the grand slam results to challenge the Williams Sisters is Maria Sharapova. Given the fact that on the men's side Andy Roddick and James Blake are not contenders on the ATP Tour. The last time an American male won a grand slam was in the year 2003. Roddick always has a petulant attitude on the tennis court screaming at the chair umpires and lines men and women during his tennis matches. Yet Roddick's unprofessional conduct is ignored. Does Roddick get a pass for his deleterious behaviour due to the fact he is a white male? The Williams Sisters have always been professional on and off the tennis court they run clinics for youth, they are intelligent and thoughtful yet they are also not white. Venus and Serena's strategy has been to not worry about the number one ranking they are focusing only on the grand slams. The Williams Sisters former rivals have either burned out or retired from the WTA Tour. The constant negativity about the "lack" of spark in women's tennis is due to the fact the best female tennis players of this generation are "black women". Would the media complain if white women were dominating the WTA again? Venus and Serena have won the last three grand slam events. Despite the Williams Sisters incredible success in tennis they are an anomaly due to the fact they are not white. The American tennis establishment still has the attitude that "whiteness" is better. Venus and Serena are best players of their generation they have won seventeen grand slam singles titles. The Williams Sisters have also won the grand slam in women's doubles and they are Olympic gold medalists. Venus and Serena brought tennis to the "masses". Venus and Serena raised the standards in women's tennis to a higher level due to their power, speed, and intelligence. racism, sexism, and also jealousy. The Williams Sisters also experience negativity from various white female tennis commentators. For instance, Martina Navratilova told the British newspaper the Times that the 2009 Australian Open 2009 final was ``pathetic` because Serena destroyed Russian player Dinara Safina 6-0 6-3 in only fifty nine minutes. Would Navratilova call the Australian women`s Australian Open final "pathetic" if Safina had defeated Serena Williams? Navratilova`indirectly of course was attempting to criticize Serena Williams although she claims she wasn`t. The reason Navratilova is bitter is because Serena Williams defines her own rules. There appears to be a double standard and hypocrisy by white female tennis commentators. White women have historically encountered gender oppression as women they can be excluded or not criticized for their racism. Racism is not always overt racism can also be covert. The white female tennis commentators are careful not to utter any racial slurs against the Williams Sisters. However, the "covert racism" is when the white women constantly criticize Venus and Serena for everything. It appears no matter how hard the Williams Sisters achieve the fact remains some whites have a problem with two young black women dominating a white sport. During the 2009 Australian Open final match ESPN tennis commentator Mary Carillo continued to criticize Serena Williams about her ``committment`` to the game. When has a tennis champion ever been under appreciated then Serena Williams? Williams has proven time and time again never to dismiss her desire to win. The issue of covert racism has been bubbling under the surface in regards to the treatment the Williams Sisters have endured from the mainstream press and tennis fans. Yet despite Venus Williams stunning record at Wimbledon winning the singles title five times there is an eerie silence to the racism of white female tennis commentators against the Williams Sisters. The question remains why? Often in pop culture the racism of white women is ignored due to the issue of gender politics. White women benefit from white skin privilege and some fail to acknowledge this fact. The Williams Sisters despite the good times and the bad times never quit the game. Venus and Serena`s strategy has always been to pace themselves they never became obsessive about becoming number one. The Williams Sisters understood the most important prize is to be happy, have a life off the tennis court and focus on winning grand slams. Now Venus and Serena have won fifteen grand slam singles titles. Sharapova represents the Eurocentric standard of beauty that is palatable in Europe and North America. Sharapova is considered “beautiful” because she is white, young, tall, and a natural blonde. In white culture blonde women are considered the essence of white beauty. Venus Williams is not just a tennis legend she is a feminist she was the only female current top tennis pro that spoke out against the entrenched sexism of Wimbledon. ue to Venus incredible efforts women now have equal prize money to men at Wimbledon. The President of the French tennis federation even admitted Venus comments in the media changed his mind. The French Open now provides equal prize money to women. Black feminists such as bell hooks, Audre Lorde and many more have written about white women and their racism. The feminist movement has a lot of racists in it. Black feminists and other feminists of colour have spoken about this hypocrisy of white women for decades. cannot divorce themselves from their race or gender. and sexism against them yet they rise above it and continue to do so.